Crake and Mallon Funeral service is a long established family owned company with a reputation for its dedication to the highest possible standards. Established 1971. A family owned and run company offering the highest amount of care and comfort in testing times. Established in 1993. Robert Harrison & Sons Ltd.
Hetherington Funeral Directors at Buxton House has been a part of the community in Normanby and surrounding communities for many years. Roseberry Funeral Services aim to provide a dignified, caring, professional and personal service with attention to detail. 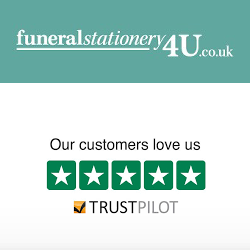 Harry Thompson Funeral Service is family run, independent funeral director caring for local families for over 25 years. We are here to help 24 hours a day with a personal and caring service. Chapels of Rest at Loftus (Tel.01287 643375) and Saltburn (Tel 01287 624774). However, we do appreciate that some mourners will have travelled a distance and may be early as a result of wanting to be on time. Therefore, we have arranged for them to receive discounted refreshments close by. For details please see below. 10% discount to Kirkleatham Memorial Park and Crematorium clients. The café is a 2 minute drive or a 10 minute walk from the crematorium. Ruby Lilly’s Florist offer the highest quality, beautiful floral arrangements for your every need. TLC Nanny Services offer parents a professional nanny service and expert helping hand at events such as weddings, christenings, birthdays, anniversaries, graduations, retirement parties and funerals.